Hi! We have had these four succulents for awhile. I purchased them without any identification and haven't had any luck finding them online. Hoping you can help! 1. Your first little blue one is some kind of Echeveria - there are many different species and hybrids; this one is not familiar to me, but it's so pretty. 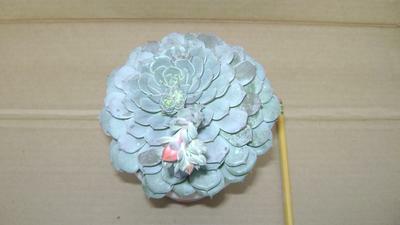 2 looks like it is most likely another Echeveria, again, not sure of the species or variety. 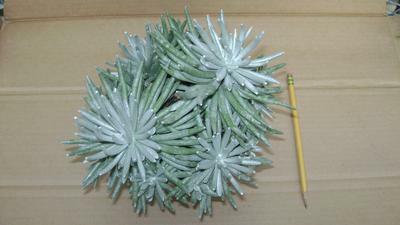 3 is one that I'm not familiar with - again, looks to be some type of Echeveria. 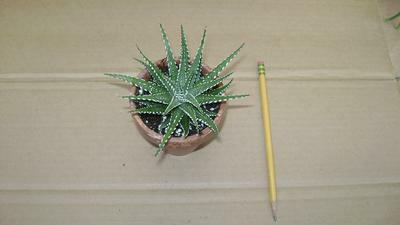 4 is easy; that's a Haworthia, most likely either H. attenuata, or H. fasciata, both of which are very similar. 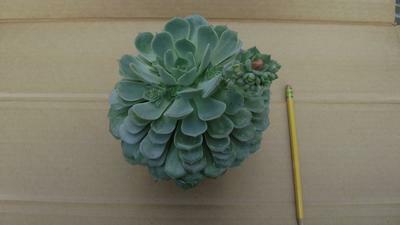 For the first three, you can see more about how to grow Echeveria, and be sure to check on this page for more generalized Succulent Care.